Below you can view all the homes for sale in the Winter Park subdivision located in Norcross Georgia. Listings in Winter Park are updated daily from data we receive from the Atlanta multiple listing service. To learn more about any of these homes or to receive custom notifications when a new property is listed for sale in Winter Park, give us a call at 404-998-4113. 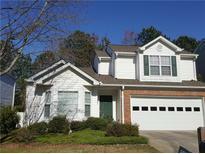 **Great Location**Master On Main Home**New Hvac(1Yr Old)**@5 Yr Roofing**4 Yr Old Water Heater**Gorgeous Winter Park Community At Norcross**Family Room W/ Fireplace**Formal Dining**Wide Open Family Room**Huge Master Bed Room W/ He & Her Closets & Bath Room W/ Double Vanity &Vaulted Ceilings**Great For First Home Buyer For House Or Investor**Great Location With Shopping**Transferable Termite Bond W/ Warranty**Seller Is Offering A Floor Allowance With An Acceptable Offer** MLS#6523531. Focus Realty Investment.